At Van’s Chem-Dry, we work hard to offer Sacramento, Elk Grove, and the surrounding areas a green carpet cleaning option when it comes to carpet cleaning and other cleaning services. Through research and advanced technology, Chem-Dry has developed a non-toxic and natural way to clean homes. Our flagship cleaning solution, The Natural®, is on the FDA’s G.R.A.S. (Generally Recognized As Safe) list. However, we don’t stop there when it comes to our dedication to green certified services. We also only require about 1/5 the amount of water that other companies need in order to be effective. This helps keep your carpets in better condition with less impact on the environment. Take a look at our products that meet the strict standards of the Chem-Dry Certified program, which examines cleaning products’ impact on people, pets, and the environment. High standards for biodegradability and not bio-accumulate. Products must not damage our streams or Mother Earth. After all, we live in Sacramento too, and we want to protect the earth just as much as you do! So why does Van’s Chem-Dry care so much about being GREEN? Well, simply put: Less water in your carpets means more in our nation’s reservoirs. 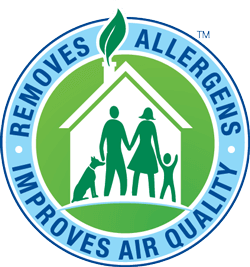 Non-toxic means that Van’s Chem-Dry is safe for kids and pets and makes us the perfect (often, the only) solution for many people with allergies. We live here in Sacramento too, and our aim is to help create healthier homes and safer carpets for a better community. Schedule your appointment for Green Cleaning Services with Van’s Chem-Dry!